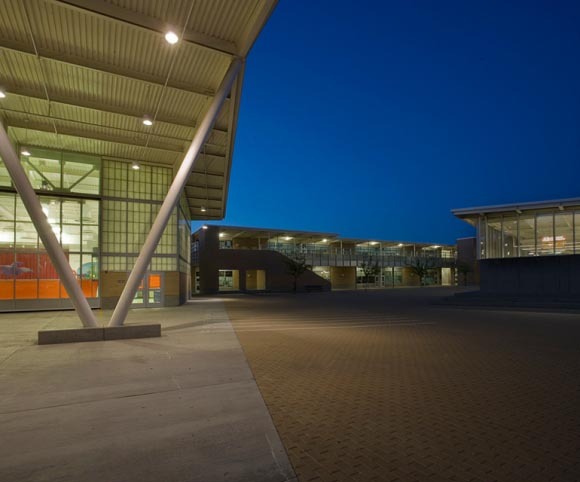 This 5-acre urban campus features over 118,000 square feet of space including an auditorium building, a classroom/administration building and three additional classroom buildings and can serve up to 1,200 students. 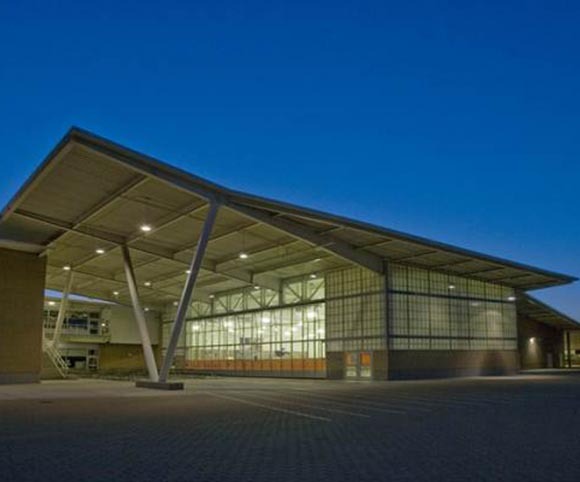 Built with a focus on energy-saving design, the school features durable materials and a highly efficient central plant across most of the 2-story construction, and facilities include exterior balconies, a large courtyard, a separate kindergarten area, media center, serving kitchen and a parking structure with an upper-level playground. The structural design for this multi-building, multi-story campus included steel framing and CMU shearwalls on standard spread footings.